Satisfying, New York-style dining ? in Shanghai. NO wonder the expats here look so self-satisfied.? The Lord Restrain leaned back in his low chair in the ?farm chic? 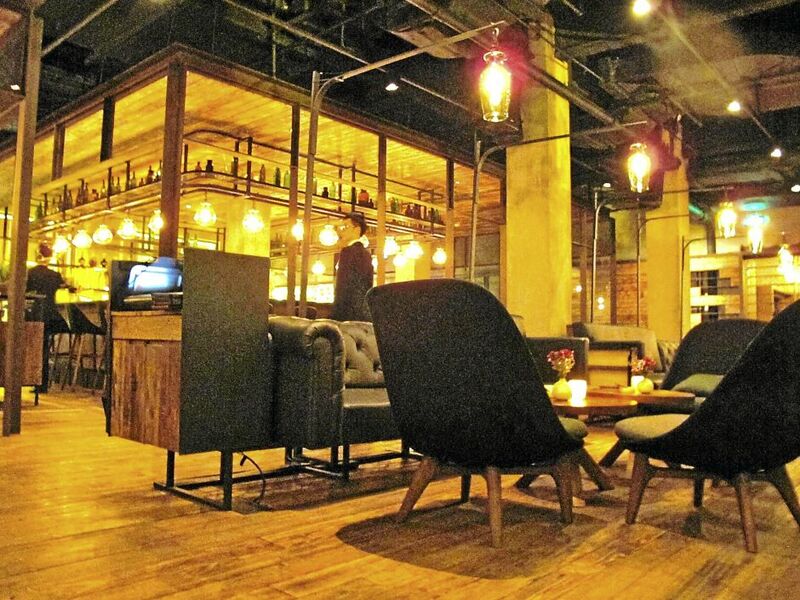 loft at Mercato, located on Shanghai?s Bund. ?I would be, too, if I could come here to eat every day,? he declared, while scanning the large, open dining space. Here, reclaimed wood and warm leather tones complement exposed steel, iron and glass, and wonderful cuisine. On a chilly Saturday evening in January, it was certainly an inviting venue and was filling up fast by 7pm. Hardly surprising, then, that without reservations we couldn?t get a Mercato table at celebrity chef Jean-Georges Vongerichten?s recently opened restaurant. The famed three-Michelin-star chef already had a presence in the building with his fine dining namesake restaurant, Jean-Georges. So we took the window table offered near the bar, and with a not-too-restricted view of the world-famous waterway. ?The most excellent starters in decades,? proclaimed the Lord, not leaving a single crumb on his plate. I had to agree. The Housemade Ricotta with Cranberry Compote, Olive Oil and Grilled Bread (78 renminbi/RM38.20) was not what we expected; it looked simple and, well … rustic. But the light and creamy ring of delicately flavoured ricotta topped with the delectable cranberry cooked slowly with sugar brought a luscious combination of tastes and textures with each consecutive mouthful. The Wood-oven Roasted Asparagus Fontina and Prosciutto (88 renminbi/RM43) that followed the cranberry carnival was no less impressive. The lightly grilled greens wrapped in soft slices of prosciutto were crunchy, yet moist. Slathered in olive oil, all it needed for a sharp tang was the juice of a lemon, and a wedge was already waiting. The Lord is a big fan of Italian food and so, with a wood-fire oven adding warmth to an already agreeable dining room, we could not help but pick the Spicy Pork Sausage, Kale and Pecorino Pizza (118 renminbi/RM57.70). And our rustic pizza did not disappoint. 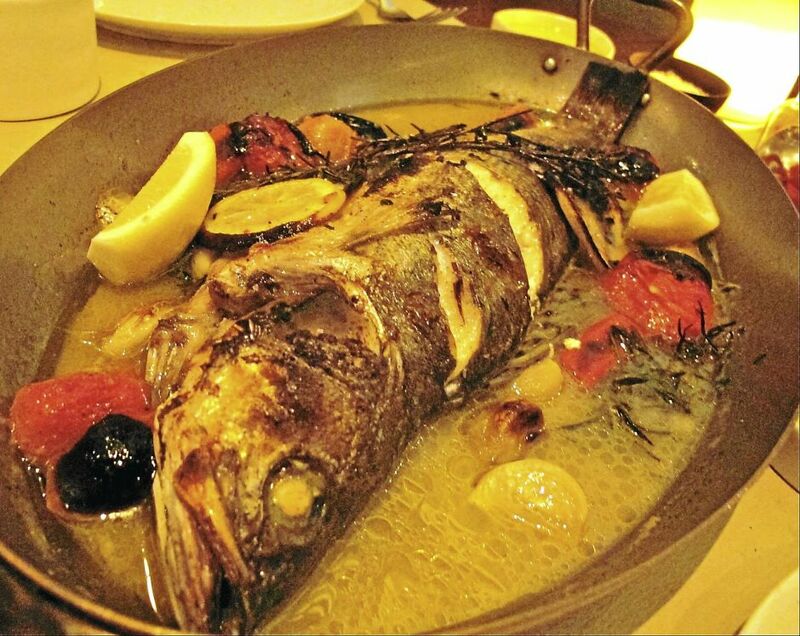 Don?t flip the Simply Roasted 7-star Seabass over when one side has been eaten; just remove the bone. This house speciality was generously topped with sausage slices and kale, while the thin-crust pizza was surprisingly chewy and charmingly charred in spots. The blend of parmesan, mozzarella and pecorina cheeses artfully married their flavours, resulting in a comfortingly creative taste.